JPC Racing presents the only line lock kit on the market that will bolt on to the 2010 and 2011-2012 GT, GT500, and Boss Mustangs. This kit is designed to operate under extreme heat, for optimum performance and durability. Each unit is tested individually and is backed by JPC's 1 year warranty. 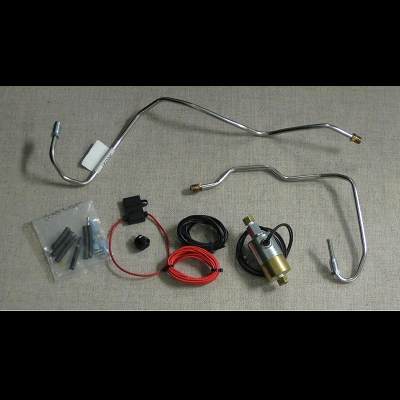 Kit Includes: Re-Buildable Solenoid, Two Stainless Steel Lines, All Necessary Fittings, Wiring (including connectors), Switch, Fuse Holder, and Installation Instructions.